A self-ruling sovereign island country since 1978, the official name of Dominica is the Commonwealth of Dominica; and is a Windward Island located in the Caribbean Lesser Antilles. Reaching this island is very easy on a crewed yacht charter when cruising through the French West Indies between Guadeloupe and Martinique. 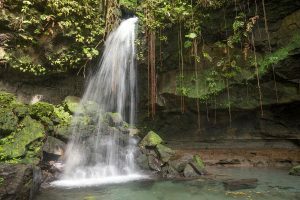 Unlike most other Caribbean Islands, Dominica is covered with rain forests, and lush vegetation through which run 365 rivers, which is one river for every day of the year. Several plant and animal species thought to be extinct on other surrounding islands can still be found on Dominica, in the inland rain forests. 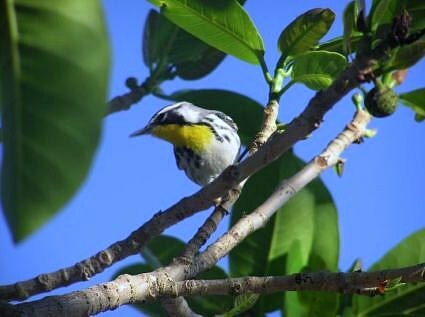 Today this island has a well-deserved reputation of an eco-island, as on the island is an extensive national park system for preservation of the natural beauty, and a rain forest that has been designated a UNESCO World Heritage site. 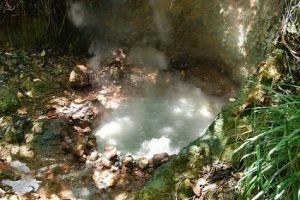 Boiling Lake in a volcanic crater on the island is filled by the second largest hot springs in the world. 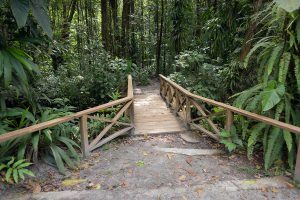 The government helps maintain the eco-nature of the island by discouraging resort tourism along with the building of resorts on the island. Unlike other Caribbean Islands, that which there is to see and do on Dominica includes hiking through great rain forests in search of two parrot species endemic only to this island, swimming in fresh water pools at the bottom of the many waterfalls, and river rafting on one of the 365 rivers. Native Caribbean Indians, the Carib (Kalinago) still live on this island in a reservation set aside on the east side of the island, where they live under their own rule; as a nation apart. 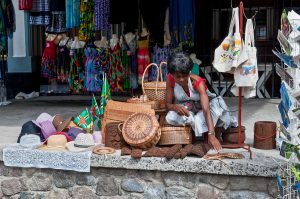 It is the Kalinago Women that weave the ornate baskets that are unique to Dominica, along with the “man catcher”, a little bit of basketry, in which a man’s finger can be caught, and the captive man lead home by a ring at the end of the basketry. Paddle along the Indian River, take a swim in the Emerald Pool, (so named for the color of the water found in this swimming hole at the bottom of a 40’ waterfall), hunt the elusive mountain chicken for a photo opportunity, and for those that just can’t leave the beach behind, visit Batibou Beach. 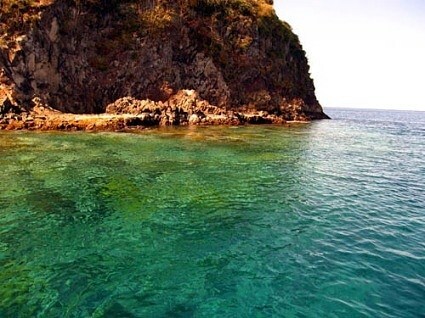 The Nature Isle of the Caribbean continues to delight when exploring the surrounding waters, which are filled with great coral gardens, are excellent for scuba diving, and are home to a variety of mammals such as a pod of sperm whales that live in the surrounding waters year around. 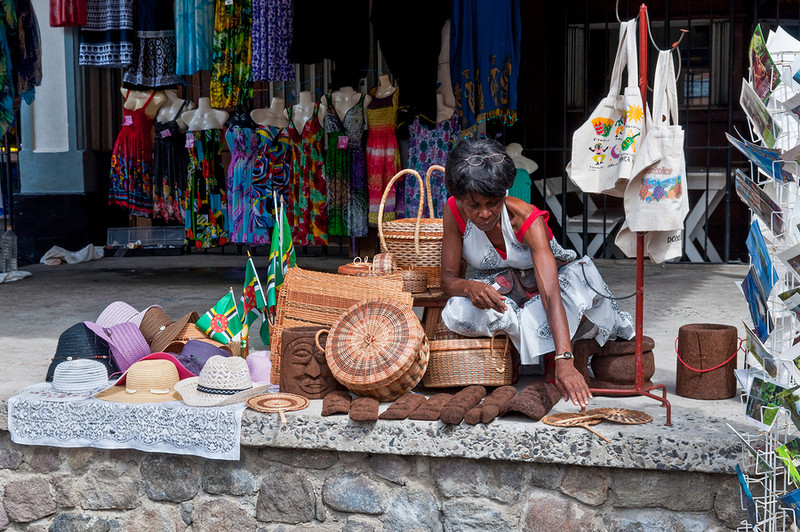 A souvenirs vendor along the main harbor street in Dominica. Visit Dominica Island, “The Nature Isle of the Caribbean” a unique eco-island, and enjoy all there is to do on land and in the surrounding seas on a private yacht charter.